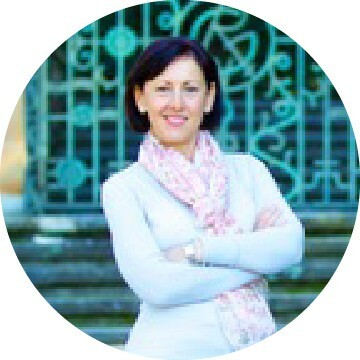 Angela Emmerton is a Clinical Nutritionist and Founder of ‘Nutritional Matters’. She has a Bachelor of Health Science in Nutritional Medicine, is a wellness advocate, educator, trusted advisor and proud Ambassador for That Sugar Film. Angela has spent over 10 years studying all things nutrition and combined this with studies in social sciences and counseling. Angela treats a variety of conditions and symptoms including; excess weight, hormonal imbalances, fatigue, poor sleep, stress, digestive issues, food intolerances, diabetes, cardiovascular disease, thyroid dysfunction and of course helping people crack their sugar addition. Her practice is underpinned by the latest evidence-based nutritional medicine, following scientific research on nutrition, nutrients, and positive lifestyle practices. However, having spent over 20 years in the corporate working world Angela understands the effect modern day life has on a person’s health. And therefore her approach is all about ‘keeping it real’and her recommendations are informed by reality and practical for everyday busy people. And because no two DNAs are the same, Angela ensures your nutritional requirements are tailored to your unique needs. Angela is continually called upon to provide her expertise in this field of nutritional medicine for a variety of health, lifestyle and business magazines. During 2016 she was selected as the nutritionist for Todd Sampson, as part of his preparation for the six-part TV series ‘Bodyhack’. Angela is also an advisory team member for ‘SugarByhalf’, a not-for-profit organisation who aims to reduce Australia’s sugar consumption and help combat childhood obesity and chronic disease. In addition, Angela facilitates movie screenings of ‘That Sugar Film’and discussions, for business groups, workplaces and communities, providing educational tools and techniques for people to make informed choices to benefit their own health. Her mission is to transform peoples lives so they go on to lead a productive and balanced healthy lifestyle. My last GP appointment was excellent, I got the all CLEAR...woo-hoo! So, as you can imagine I was super happy and SUPER, SUPER, SUPER happy with your treatment plan and professional advice. You Saved me Angela! Big smiles and thanks again for getting me healthy! You rock! I met Angela last year when I was experiencing low energy levels and issues with my immune system. She is down-to-earth, easy to talk to, knowledgeable and thorough. Angela’s advice over the past year regarding fatigue, diet and dealing with stress has been easy to integrate into my every day habits. Her suggestions regarding food and supplements have been invaluable and had a positive impact on my health and general well being. I decided to try a nutritionist to get more energy after a few years of chronic fatigue, and to break my sugar addiction. I found Angela to be attentive, empathic, knowledgeable, professional and good fun! She always understood what I needed and why and traveled with me at my pace. Through a combination of small dietary changes, and nutrients, my energy levels have risen much closer to “normal”. I now have the energy to exercise more and avoid the need for a “sugar hit”. Her evidence-based treatment options; and collaborative style is a powerful combination which is resolving my issues and giving me the knowledge and motivation to make new, healthier lifetime habits. The key 4U is a 5 week weight loss program which consists of low carbohydrates, balanced protein and healthy fats, with reduced sugar and refined carbohydrates. The diet simply shifts your body’s metabolism from burning carbohydrates to burning fats. Implementing ‘the key 4U’ into your daily living can completely change your body’s physique, and thoughts about the impact of the food you eat. The program starts with a one hour health assessment with Angela (nutritionist), who will tailor-make the program to suit ‘you’. A handbook, recipes, nutrients, meal planner, carb counter book, and all the other tools and resources you need will be provided to you and included in the cost of the program. You will then meet weekly with Angela, at the end of each of the five weeks to monitor your progress in weight-loss, body composition and discuss any questions you which come up for you during each week. “My only regret meeting Angela is I didn’t make an appointment with her 10 year’s ago. With encouragement and support she found the right eating plan (the key 4U) for me – she literally has changed my life. Our bodies are extremely efficient at entering ketosis and metabolising fat, we just usually don’t allow this process to initiate. By following the 5 week program you can be certain you’ll achieve your health goals and feel fantastic.